Merrie melodies from God’s cog. THE SCENE: In 2002 ex-Goodie Mob boss Cee-Lo dropped his experimental sonic salvo Cee-Lo Green and His Perfect Imperfections to majestic acclaim and miniscule sales. Soldiering forward he erupted a new volcano of tunes in 2004’s powerhouse Cee-Lo Green… is the Soul Machine. The son of Atlanta ministers, Cee-Lo considers his many musical talents to be divinely inspired, and considers his albums to be gospel music. But he’s definitely the Lord of a new church, as he preaches, teaches, sings and blings his sermons. Blessed with a greasy, nasal, vinyl elastic boom of a voice, he can croon with the best and battle-rap the rest, as he does in the alleyway rumble of “Glockapella”. Smoothly sliding from Cab Calloway class in “Evening News” to spoken word electronica in “I Am Selling Soul”, he’s so excited to show us the depth of his talent. THE FALLOUT: …who was fired soon after the albums’ release. Without support from the top Soul Machine fell off the charts like birdshot off an elderly hunter’s face. The next year Cee-Lo co-wrote and produced the Pussycat Dolls international hit song “Don’t Cha”, thereby proving that God works in mysterious ways. 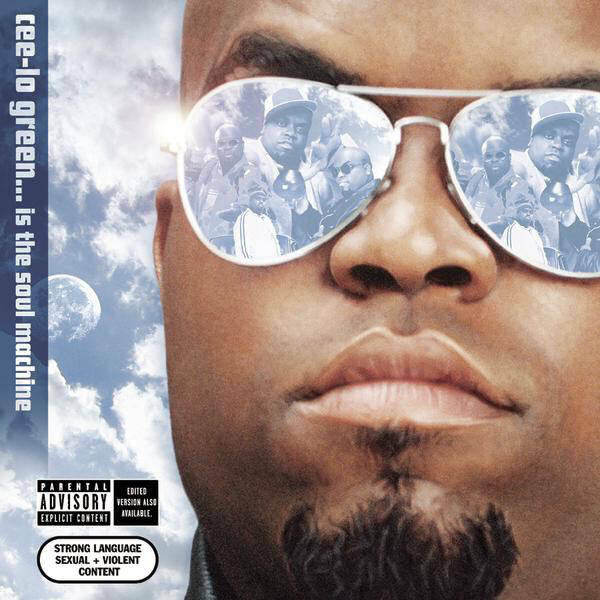 Southern at the root but branching toward everywhere, Cee-Lo Green… is the Soul Machine is primed and powered to move your soul, your feet and your mind. NEXT WEEK: Garland Jeffrey’s bi-racial concept album, and why you haven’t heard it. You’ve definitely put something like five or six albums on my oh-my-god-I-need-this-now list. Rock on. Previous Previous post: Burnt Sugar: Blood On The Leaf (2000) — now with podcast!